Quote: "Most entrepreneurial ideas will sound crazy, stupid and uneconomic, and then they'll turn out to be right." From a company that posted you DVDs, Netflix has become a media giant producing some of the finest television on the planet, and a real trailblazer in changing how we consume our television. 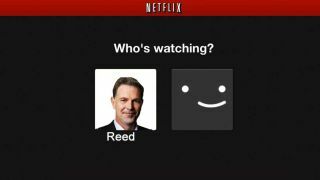 CEO Reed Hastings has been a key part in this. With the admiral stand of putting Netflix on every available platform, putting the user's needs above any rivalry, Hastings has made Netflix a powerful figure in the transformation of television. A director of Facebook on top of his day job, Hastings' managerial ideas have also been influential in the tech sector - with a focus on rewarding excellence with high wages and high severance packages to those deemed not up to speed at the company. But it is in our changing TV consumption habits where Hastings is perhaps at his most innovative. Paying for exclusive TV content seemed high risk until the likes of Orange is the New Black, Better Call Saul and Daredevil became critical darlings and a primary reason to subscribe. 'Content is king' is a famous mantra, but Hastings - as much as anyone - made it clear that actually content may be king, but accessibility is the ace in the hole, and it is difficult to see a future path for our entertainment that doesn't include - in some form - the Netflix model.